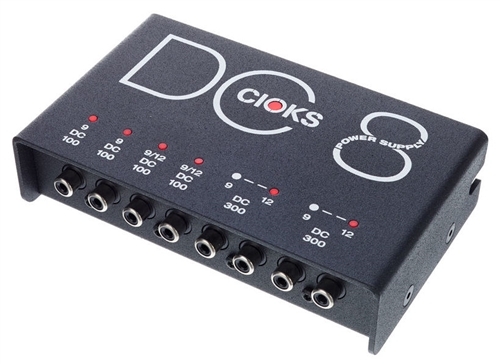 DC8 is a professional medium sized	dedicated multi-output power supply for	effect pedals. 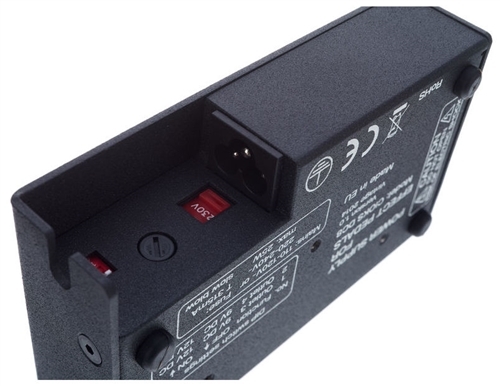 It has 8 regulated and well	filtered DC outlets configured in 6 isolated	sections. With a total of 1.000mA it’s a	perfect solution for small or medium size	rigs with pedals only using a DC power	source. Its two powerful sections with	300mA each will power pedals like TC	Electronic Novas, Eventide Factors, the digital BOSS or Electro-Harmonix pedals	or others which draw a higher current	than 100mA. The first 4 isolated outlets	offering 4x100mA are ideal for 9 or 12V	pedals needing less than 100mA. Combined	with the included Stack Flex the	DC8 will also power your 18 or 24V pedal. 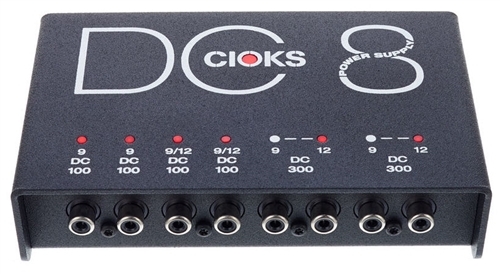 Mounting of CIOKS DC8 or AC8 power supply to a Pedaltrain pedal board is a step-by-step do it yourself guide on how to attach one of these two units underneath a Pedaltrain pedal board.